I thought these American Bullfrog juveniles were cute and kind of neat to see, until I got home and found that they were introduced to California, and are considered invasive. I still thought they were cute, though. So many, and they chirp kind of like a bird when they are young. Great find and capture 1 -- lovely little froggie ! @koalagardens Thank you, and thank you for the fav! That is just a great photo. Love the light, the color, the detail and the composition. Too bad about them being invasive. There are quite a few damaging invasive species here in California. I'm sure, everywhere, nowadays. My nephew used to work evenings shooting invasive toads with a bow an arrow. The are invasive birds and grasses and shrimplike things too. But if they are going to be there, at least you got some wonderful photos of them. Where do you call home? And what part of California did you visit? How did you like it? Hope you missed the heat. "imaginary gardens with real toads in them," A great shot of this pretty critter. @snaphappi Thank you Maggie, and thank you for the fav! @mbrutus Hi there. Thanks for the wonderful comments and fav! As for California, I live in the Bay Area...East Bay in Richmond to be exact. We are on a hill (a good, quiet part of Richmond) and about a mile from open space. If I am shooting alone, I tend to go places I feel safer. 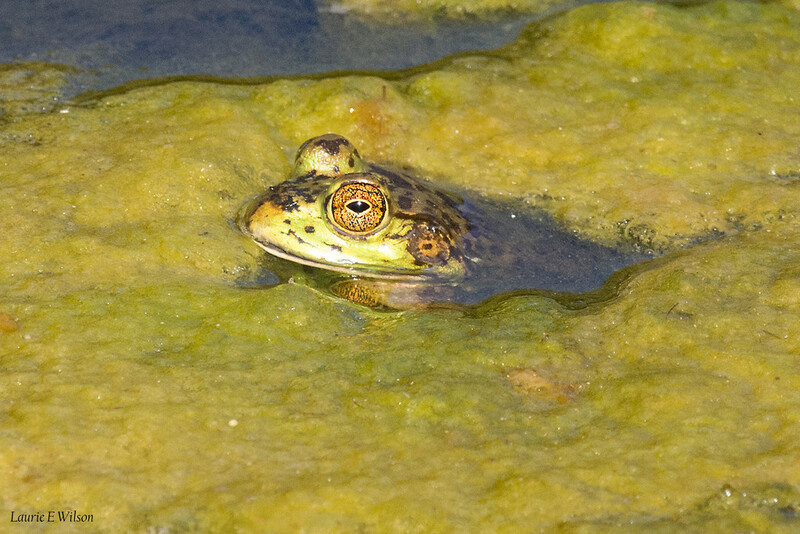 This photo and the Bullfrogs, were at a park in Solano County...about 45 miles from here. There were thousands of frogs in their little manmade ponds. Incredible! That is also where I found my most recent Osprey and the Western Screech Owl in the spring. Living in the hill and near the Bay, we do not get the heat so often. In fact, it can be 62 here at home, and 82 and rising in Solano County. We do not get the heat so much. We pay for outdoor air conditioning. 😀 I also like going to shoot a lot of other places in this area...or within a 50 mile driving range. As fo invasive birds, one if my favorites to photograph is the Mute Swan. They are invasive here and live at the Las Gallinas Ponds. They actually removed most of the eggs from the nests there last spring. One pair still had 9 signers. Beautiful. River Otters also cause a problem there, eating the fish and even ducks.